India is the seventh biggest nation in the world. Across its gigantic landscape lies a rich treasure of natural resources. It has one of the largest reserves of minerals such as steel, coal etc. and is one the biggest producer of pulses, jute, mangoes etc. on the planet. As of 2017, exports from India were valued at 298 billion US dollars growing at a whopping growth rate of 9.8% as of 2017-18, highest in the past six years. But one black jewel that’s missing from the Indian export crown is the crude oil. India is one of the largest oil importers in the world with imports reaching as high as 219.15 MT for USD 87.725 billion in 2017-18 out of which 22 MT were imported from Iran alone. According to Global energy consultancy, Wood Mackenzie, India is all set to surpass China as the world’s largest oil demand center by 2024. 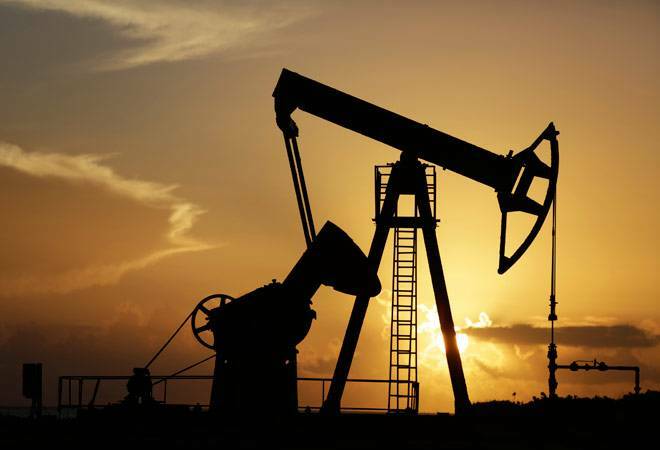 The United States, the sovereign technology authority in the world lies at forefront of the global crude oil production as well closely followed by Russia and Saudi Arabia. The price of crude oil relies heavily on geopolitical tensions which induce volatility in the market. Traditionally, the crude oil prices have been influenced by the behemoth syndicate, Organisation of Petroleum Exporting Countries (OPEC) which is a cartel of 15 major oil producing nations including Saudi Arabia, Iran, Iraq and United Arab Emirates. However, in 2014, with the development of breakthrough technologies like hydraulic fracturing and horizontal drilling, Uncle Sam managed to reduce its dependency on “Middle Eastern” crude oil and flooded the market with erstwhile difficult to produce shale oil extracted in Texas and New Mexico. Since then, numerous factors have led to the seesaw ride of global crude oil prices viz reluctance to cut back on production by OPEC countries, dampening demand from countries such as China and Brazil, overproduction by ISIS controlled nations such as Syria and Iraq, and most recently the reimposition of sanctions on Iran. The amalgamation of all these crucial factors along with the spot market jitters makes it difficult for the governments around the globe including India to put together a robust energy policy. For every dollar change in crude oil prices, India’s import bill changes by 823 crore INR while for every 10 dollars rise in crude oil prices worsens India’s fiscal balance by 0.1% and current account balance by 0.4% of GDP. The spike in crude oil prices can plunge the Indian Rupee leading to higher costs of imports, overseas travel & education and can make government debt less attractive to international investors. A weaker rupee will further widen the current account deficit and would affect the growth of the country. A plethora of industries such as plastics, chemicals, tires, fertilizers, cosmetics, logistics, airlines etc. which are heavily dependent on the price of crude oil prices. Also, higher prices lead to inflationary economy leading to lower disposable incomes and social instability. With Donald Trump all set to reimpose export sanctions on Iran, it would propel the oil prices further upwards which can imperil the Indian currency and import bill further. The Indian rupee has already been relegated as the worst performing Asian currency in 2018, requiring urgent attention. India can use its diplomatic relations with Russia and Europe to negotiate with the US to soften its stand on Iran. It can also look at the alternative of making payments to Iran in rupees rather than US dollars which would provide an alternate payment mechanism as well as force Iran to buy goods from India by exchanging rupees. It can also hedge its risk of volatility in crude oil prices by building more strategic petroleum reserves and having a sound crude oil hedging policy. As a long-term solution, India can look to strengthening its alternate renewable energy potential by providing budgetary support to industries engaging in research and sales of renewable energy products that can reduce our dependence on crude oil.